Start making the most of Photoshop, Lightroom, and more with these 8 professionally-taught courses. Adobe's applications are the gold standard for photo editing and more. To be the best artist you can, you need to know how to make the most out of these powerful tools. You can learn how with the Ultimate Adobe Photo Editing Bundle, on sale now for just $19 (approx. £14) thanks to a special price drop! Whether you’re a designer looking to pick up some time-saving tricks for the apps you use most or a creative person hoping to learn how to turn your hobby into a career, you’ll find the information you need in the Ultimate Adobe Photo Editing Bundle. 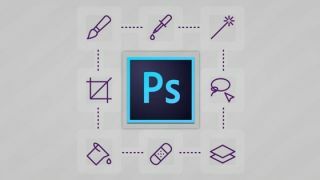 This collection of 8 courses will help you gain a better understanding of fundamentals and can work your way up through the 41 hours of instruction on the most useful features of Photoshop and Lightroom--including layers, filters, and much more. A lifetime membership to the Ultimate Adobe Photo Editing Bundle usually retails for $566. Right now, you can get it on sale for just $19 (approx. £14) thanks to a special price drop. It’s an unbeatable price for in-depth courses, so grab it while you can!